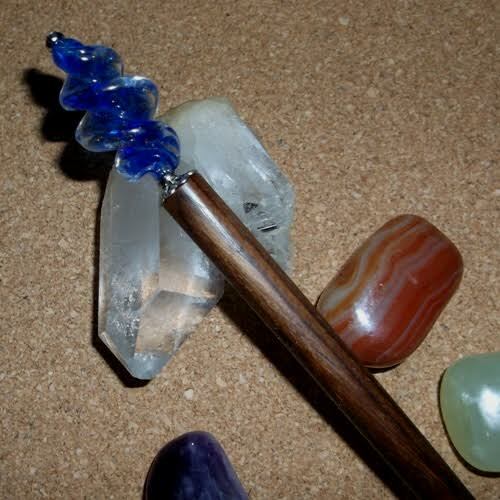 This is a single teak hair stick treated with Tung oil and finished with a beeswax polish. 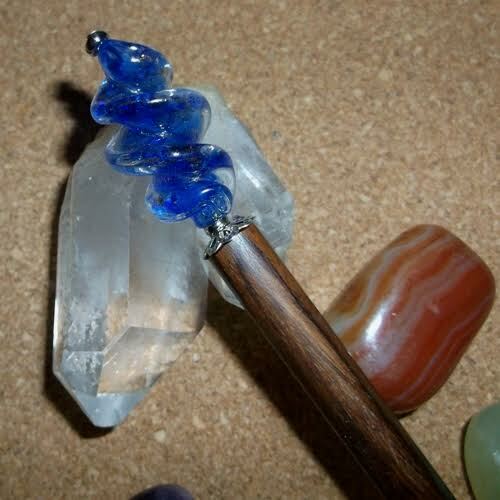 The stick is topped with a very pretty and striking blue twist glass bead with fine gold flecks. 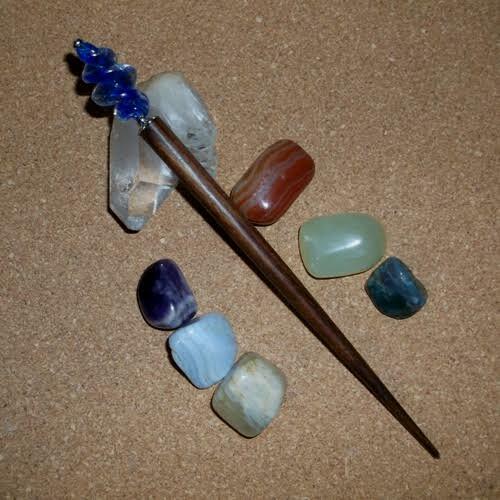 Total length 7 inches, useable length 5.75 inches. 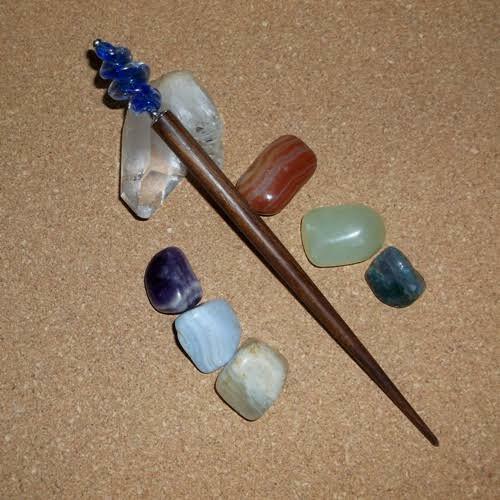 This hair stick can be shortened if required.